I found mold in the basement – what should I do? If you find mold that is less than 10 Sq. Ft, on your basement drywall, this can typically be remedied by yourself without having to call a remediation company. However, it is always best at minimum to consult with a mold specialist, because like the picture above shows, sometimes the small amount of mold visible on the exterior of the drywall is much larger on the inside of the drywall. Without experience and the proper equipment, you cannot make the right decisions on how to proceed. 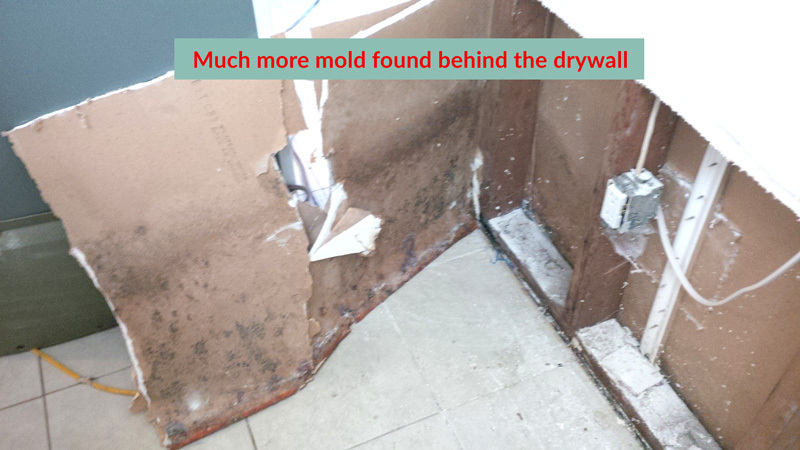 Example: the amount of mold found in the above image located in the customers’ basement was the initial complaint. 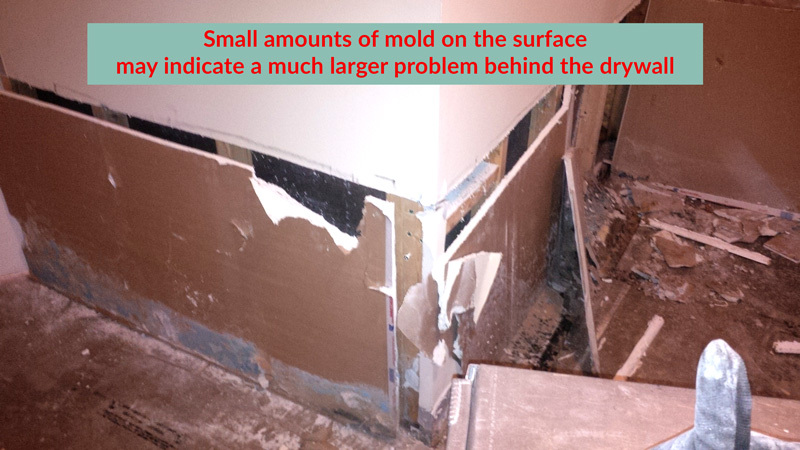 As you can see, the amount of mold found in the basement was much larger (see image below). In fact in this case it extended to the perimeter of entire basement and the moisture was traveling for a long period of time eluding the owners. So always call a mould remediation company to ensure safety. Attempt to clean the mold in the drywall by using bleach or vinegar; not only you are feeding the problem but mold will return stronger. Not doing anything will compound the problem and allow the mold in the drywall to multiply.